These Head-Gear Black Bleach Resistant Towels will stay looking smart for longer as they have been manufactured to be resistant to bleach and have superb colour-fastness. 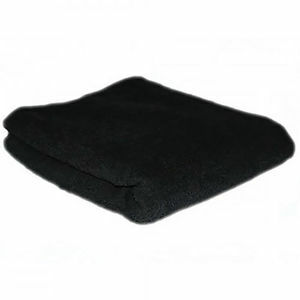 Each towel is double-hemmed to give it extra strength and features a highly absorbent, high quality ring-spun yarn. They are excellent at retaining their shape and are made from 100% carded pure cotton. Available in a bale of 12 towels.